Hospitality experts have awarded Plymouth University the highest rating for ethical food sourcing and community engagement in its campus restaurants. 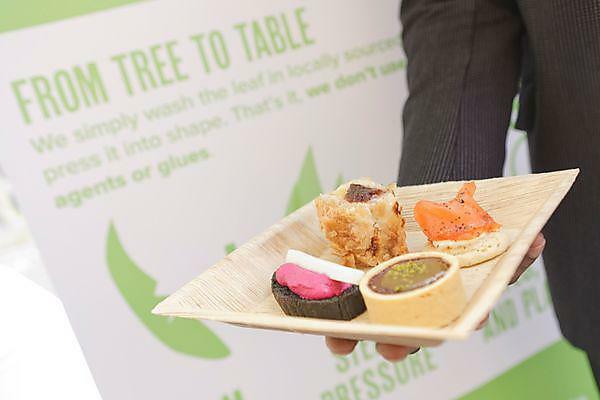 Likened to Michelin stars, the Sustainable Restaurant Association (SRA) encourages a more focused approach to achieving sustainability, rating restaurants in three main categories: sourcing, environment and society. Plymouth has been the overall best performing university in the annual People and Planet Green League for the past six years, among the global top 10 in the UI GreenMetric Rankings, and has made huge strides recently around its food service. Current projects include rolling out a model of sustainable catering on site, which considers local and sustainable sourcing; increasing community access to healthy and fresh food; working across the city as a Food Plymouth funding partner to gain Sustainable Food City status; and using cafés as an informal learning resource for students. One of them has even been opened up so customers can see staff preparing the food fresh on site. A combination of food recycling and food bank donations have contributed to a 66 per cent reduction in food going to landfill, and kitchens have made the switch to organic products including milk, yoghurts and porridge. “We were particularly struck by Plymouth University’s commitment to source from local producers exemplified by its sandwiches for which all the ingredients come from within 20 miles. Equally impressive are its efforts to reduce its environmental footprint. The latest initiative, led by the University’s Head Chef Darren Procter, includes a partnership with a Cooperative Education Trust, and sees the University working with five primary schools in Cornwall to educate the children in the food journey 'from plough to plate'.